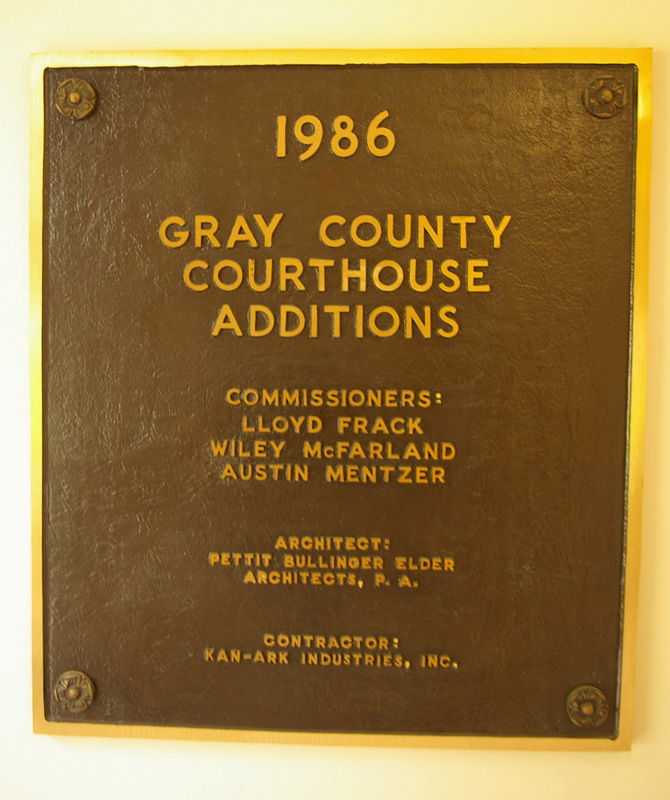 Gray County is named for Alfred Gray ( 1830 – 1880 ), who was the secretary of the Kansas Board of Agriculture. 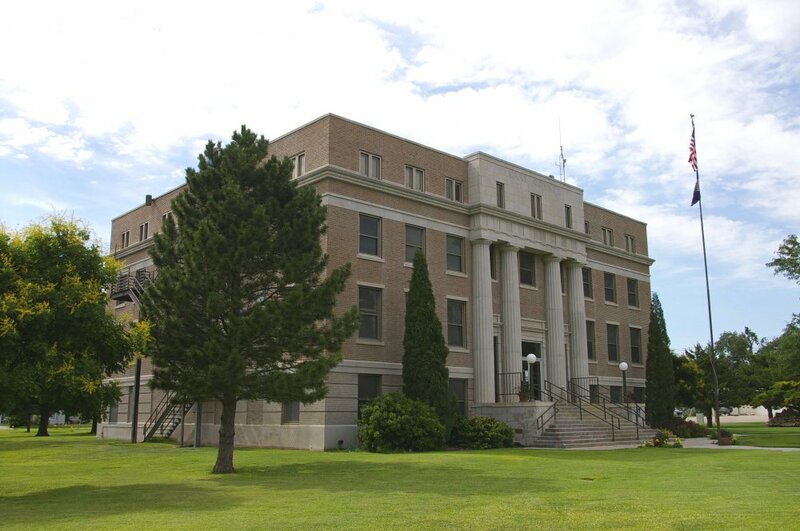 Description: The building faces east and is a four story light red colored brick and concrete structure. The rectangular building is located on spacious grounds. The center of the east front projects slightly. Four large columns rise from the first floor to the top of the third story. 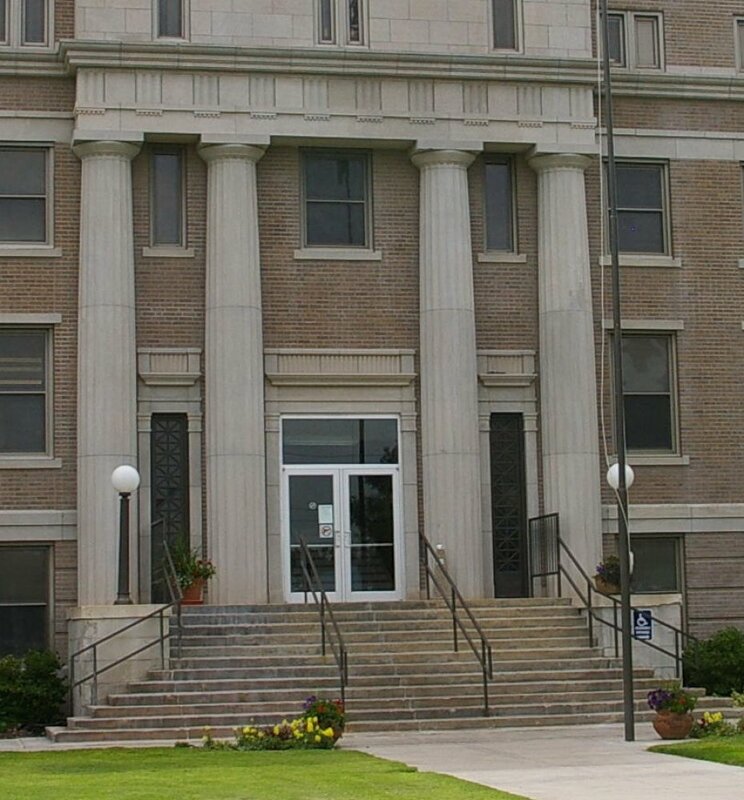 On the fourth story is gray colored stone above the columns with narrow vertical windows. A wide cornice runs below the fourth story. The roof line is flat. 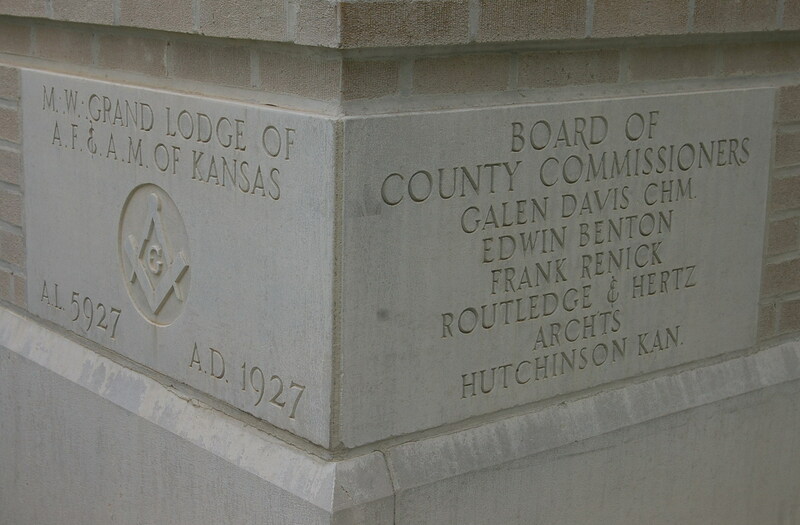 An addition was added in 1986 and the architects were Pettit, Bullinger, Elder Architects and the contractor was Kan-Ark Industries, Inc. 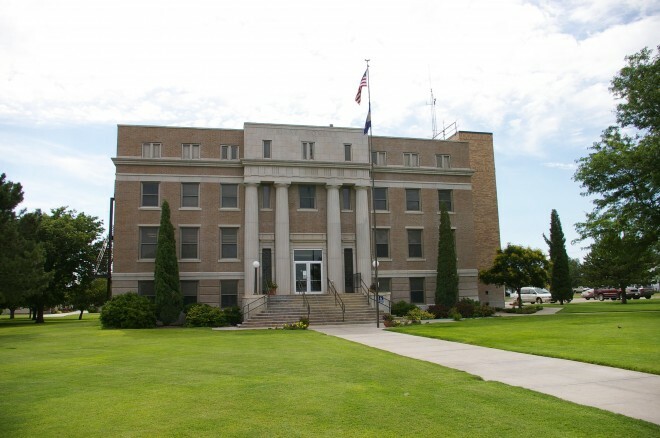 Note: The old courthouse at 117 South Main Street / A Avenue was constructed in 1886 to 1887. The building is a two story red colored brick structure. Note: The architect, Routledge & Hertz, designed courthouses in Comanche County, Edwards County, Finney County, Hodgeman County and Sherman County.